On Christmas 800 AD the Pope Leon III crowned Charlemagne, who then became the first Roman Emperor in Western Europe since the collapse of the Western Roman Empire in 476 AD. After the difficult Migration Period, Western Europe achieved what we call the Carolingian Renaissance, as Charlemagne often referred to the Roman culture to stress that he is actually reviving the Roman Empire. Manuscript illumination was an important part of that Renaissance – so today I would like to focus on one of the carolingian manuscripts. 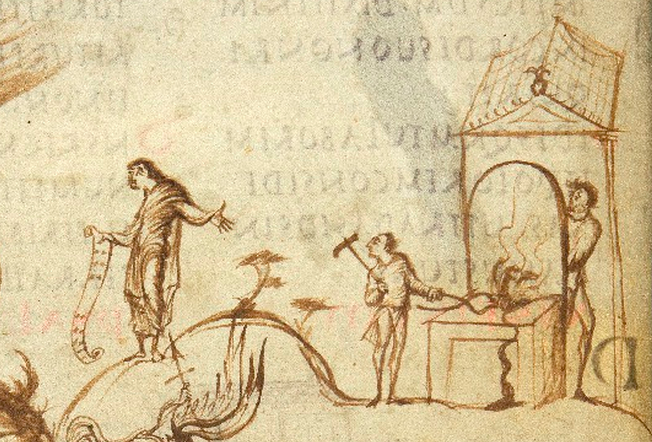 The Utrecht Psalter was probably created around 830, perhaps commissioned by the Archbishop of Reims, Ebbon (possibly as a gift for Charles the Bald). It is kept at Universiteitsbibliotheek in Utrecht (hence its name), and it contains 108 folios (33 x 25 cm). 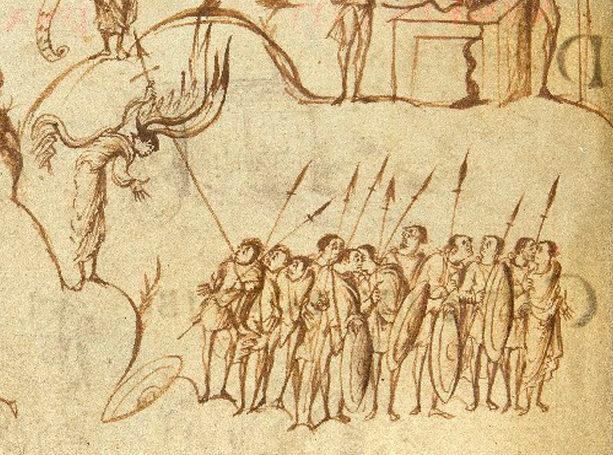 The Utrecht Psalter actually came to Canterbury as early as around 1000, and influenced Anglo-Saxon art; after the Dissolution of the Monasteries it came into the possession of Robert Bruce Cotton (1570-1631), who lent it to Thomas Howard, Earl of Arundel. The latter took the book to the Netherlands, and when he died in 1646, his widow sold it there – Robert Bruce Cotton was dead by that time and no-one made Mrs Howard return the book. 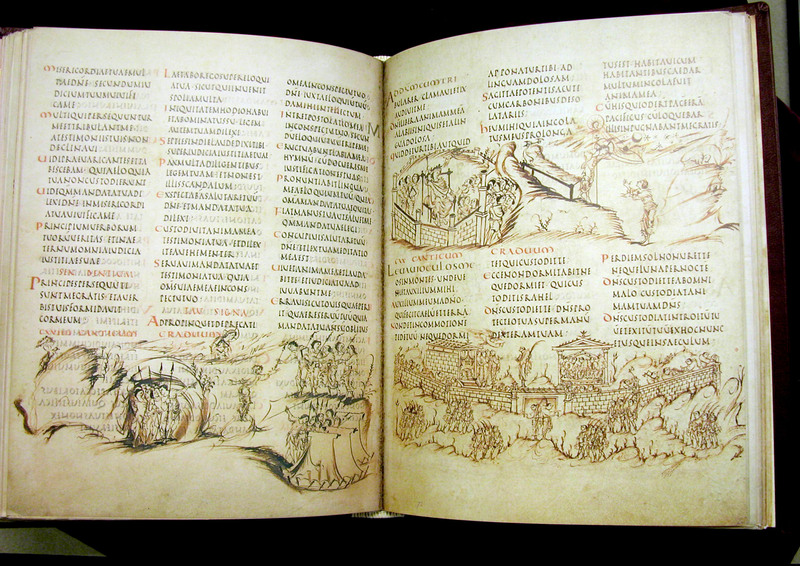 University of Utrecht owns the Psalter since 1716. What is so extraordinary about that book? Most of all: the illustrations. 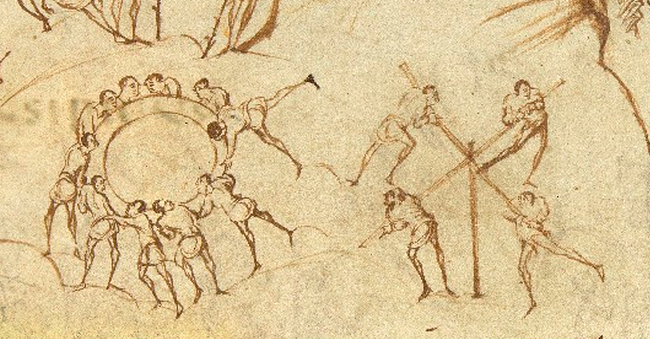 There are 166 amazing sketches (rather drawn, not painted): they are full of life, expressive and absolutely unique. How one may at all illustrate the Psalms? They are the poems, they don’t contain stories that can be depicted, but rather poetic metaphores. 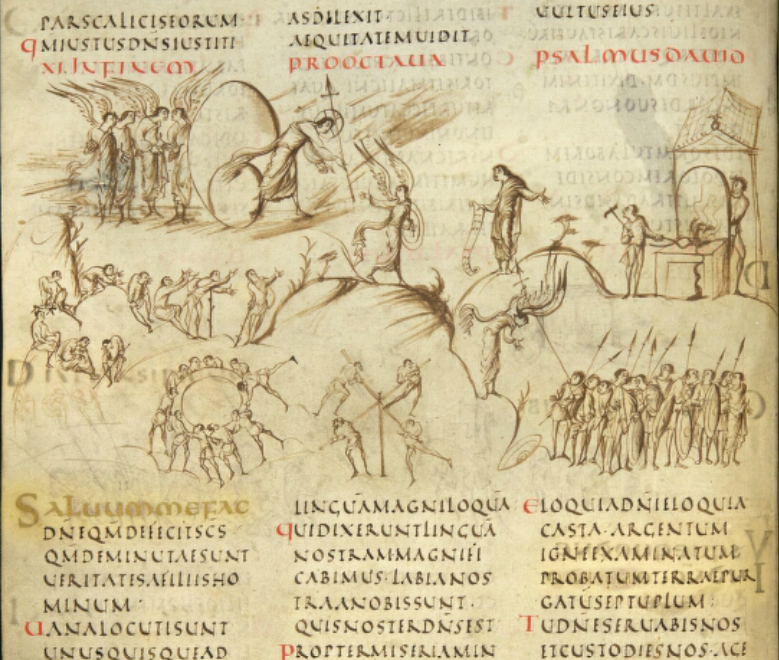 Nevertheless, the artist that decorated the Utrecht Psalter managed to create the illustrations for each poem, and he actually created quite literal depictions! It is so unique and individual, that it almost seems to be modern, although it was actually created in the 9th century! 1 [For the choirmaster On the octachord Psalm Of David] Help, Yahweh! No one loyal is left, the faithful have vanished from among the children of Adam. 2 Friend tells lies to friend, and, smooth-tongued, speaks from an insincere heart. 6 Yahweh’s promises are promises unalloyed, natural silver which comes from the earth seven times refined. 7 You, Yahweh, will watch over them, you will protect them from that brood for ever. 8 The wicked will scatter in every direction, as the height of depravity among the children of Adam. And just like that, one Psalm after another, the poetry is literally depicted! It is no surprise though, that in case of the Psalm 129 (130) famous verse ” From the depths I call to you, Yahweh” (lat. 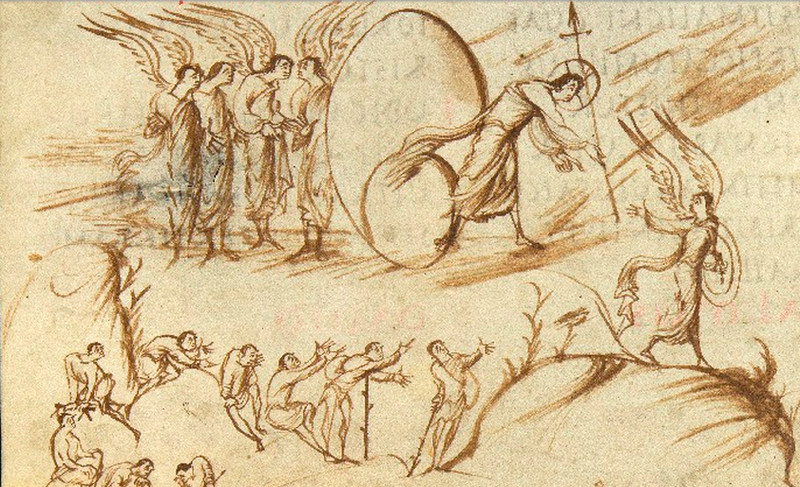 ”De profundis clamavi ad te, Domine”) is illustrated with an image of a man calling God from a deep hole… it seems clear that it is in fact a huge depth, no mistake! During later centuries the decorations of the psalters became standardised, they were usually illustrated with some figurative initials and the miniatures showing the life of Christ – as usually, the massive production kills the artistic individualism. It seems that the earlier mediaeval artists were actually the most independent ones, so we should stop talking about the “dark ages” and rather admire those people, as they were able to work in a very passionate and creative way – they were thinking outside the box, as we would say today. 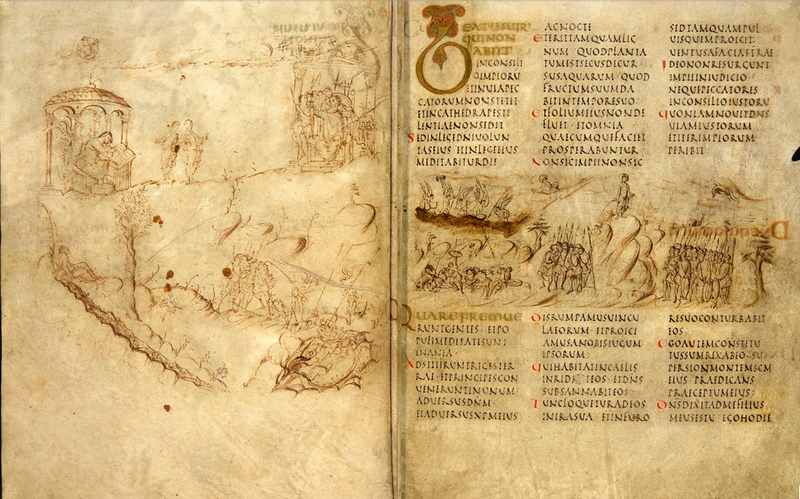 And that is exactly the case of the Utrecht Psalter, although it was created almost 1200 years ago! 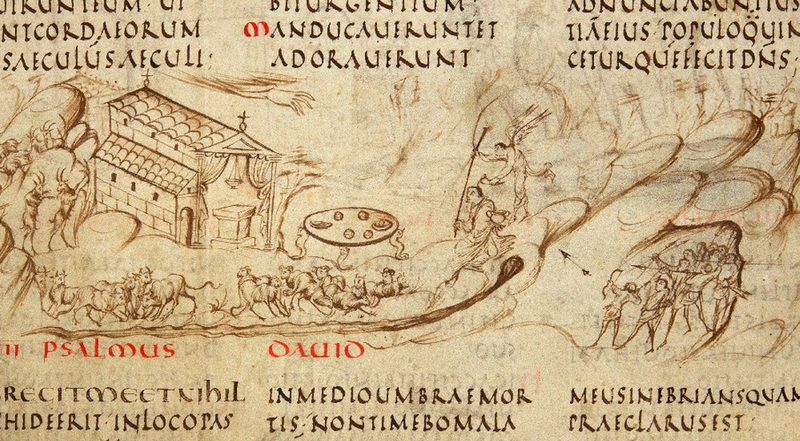 And why is it in reference to the Utrecht Psalter? Well, it seems that the ancient translations had a problem with hyrax; the Syriac version and greek Septuaginta in Codex Alexandrinus changed it into “hare”. But Saint Jerome went even further and actually used the word “hedgehog”! So as a result the Psalm in Vulgate version says “montes excelsi cervis petra refugium ericiis” – that is “the high hills are a refuge for the deer and the rocks for the hedgehogs”. And what do we see in the picture illustrating this psalm? 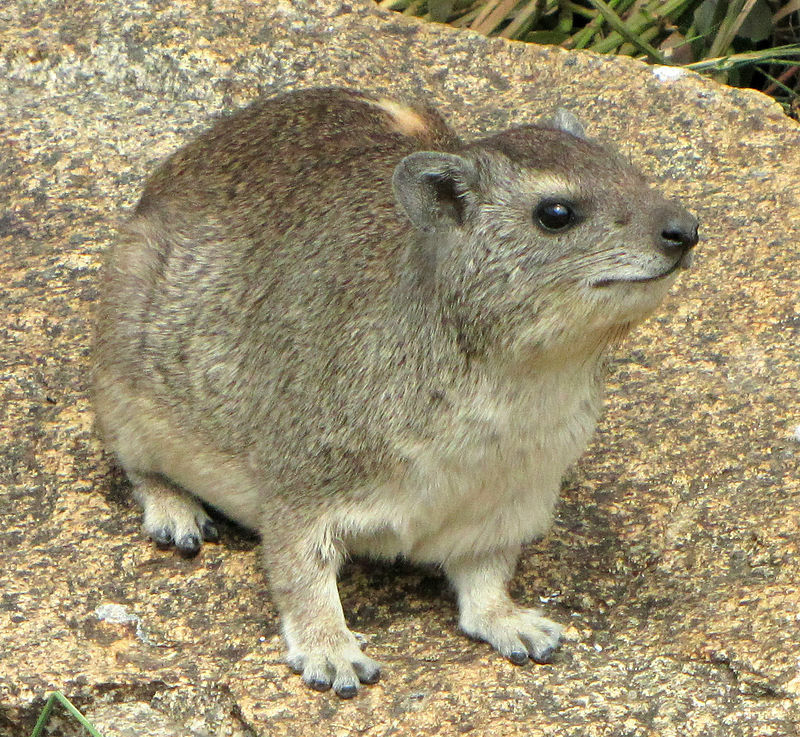 Well, it may be hyrax, or perhaps hare or badger, but certainly not a hedgehog! 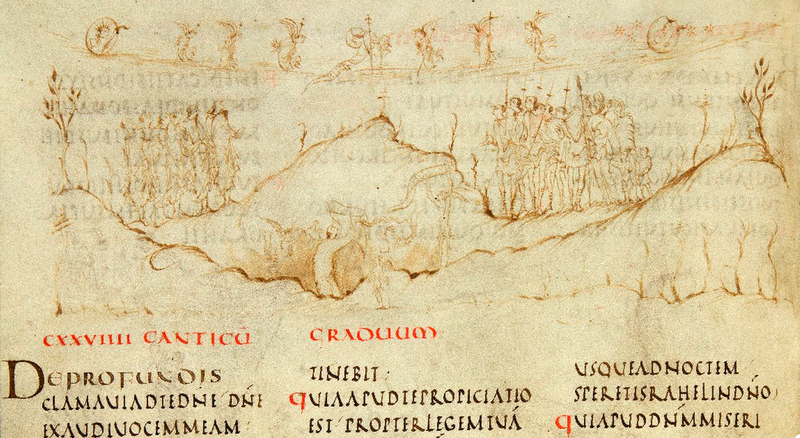 The text of the Utrecht Psalter is a latin Vulgate, so the hedgehog is there. 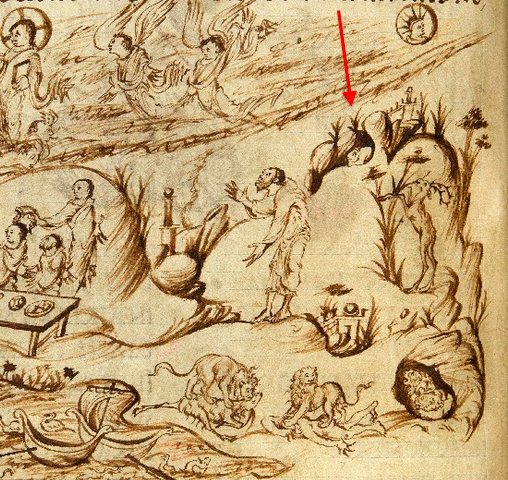 It seems that the illustrations were not created in reference to the text in this manuscript after all, but perhaps copied from some other, possibly ancient Syrian or Greek version.